During the liposuction procedure, Dr. Jejurikar makes a series of small incisions. Then, using a thin, hollow tube (called a cannula), he gently loosens and removes the fat. Dr. Jejurikar performs many types of liposuction, including tumescent liposuction, ultrasound-assisted liposuction, and tickle liposuction. In addition, he also offers Zeltiq (Coolscultping) and Liposonix (advanced ultrasound technology), which are noninvasive fat removal treatments. It’s normal to have some swelling and fluid retention after liposuction, but as this subsides, you will be able to fully enjoy your new, sleeker contours. Depending on the type of liposuction procedure performed, recovery can be quick or slow. Liposuction can permanently reduce unwanted body fat as long as you continue to maintain a healthy lifestyle of diet and exercise. However, if you gain a significant amount of weight, fat can collect in the treated areas. Dr. Jejurikar will be happy to talk with you personally to address any of your questions or concerns. 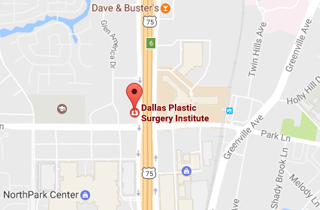 Call (214) 827-2814 to schedule a one-on-one consultation with Dr. J. to discuss Liposuction.